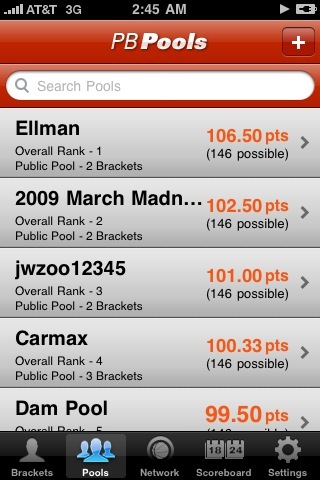 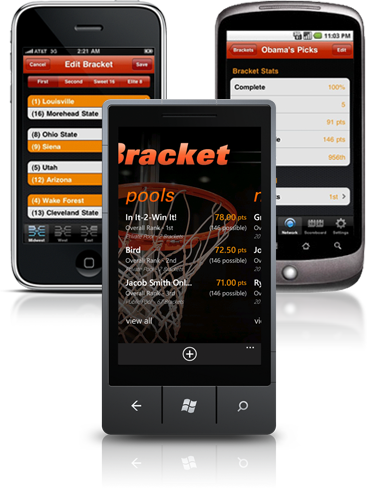 PocketBracket lets you create unlimited brackets, organize pools, and follow games during the March College Basketball Tournament - all conveniently from your mobile device. 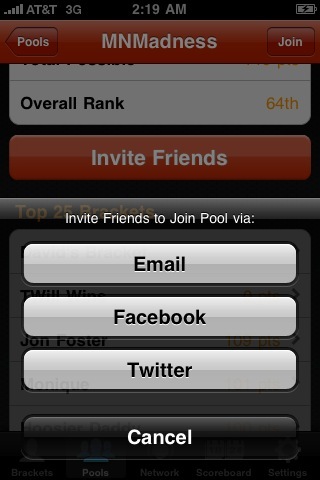 Accept the challenge and compete across the PocketBracket Network, as well as your friends, family, and coworkers. 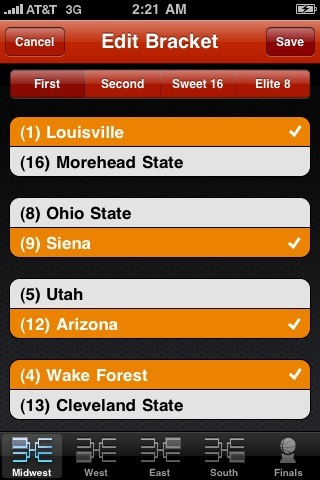 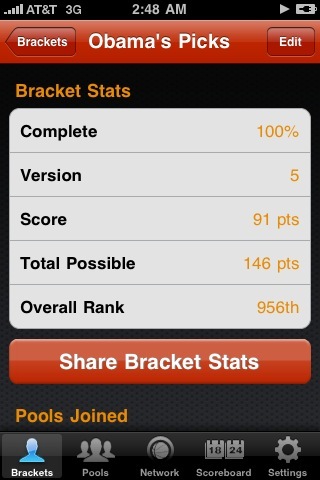 PocketBracket is March Mobile Madness — download PocketBracket on your iOS, Android, or Windows Phone.